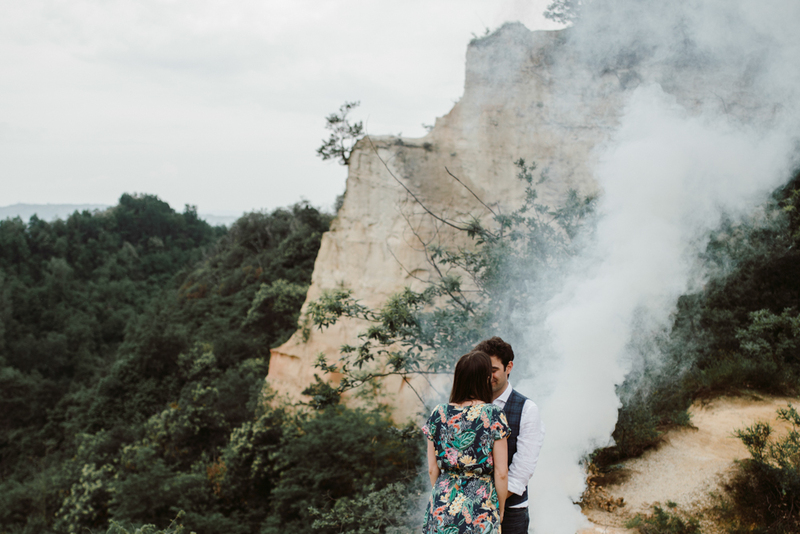 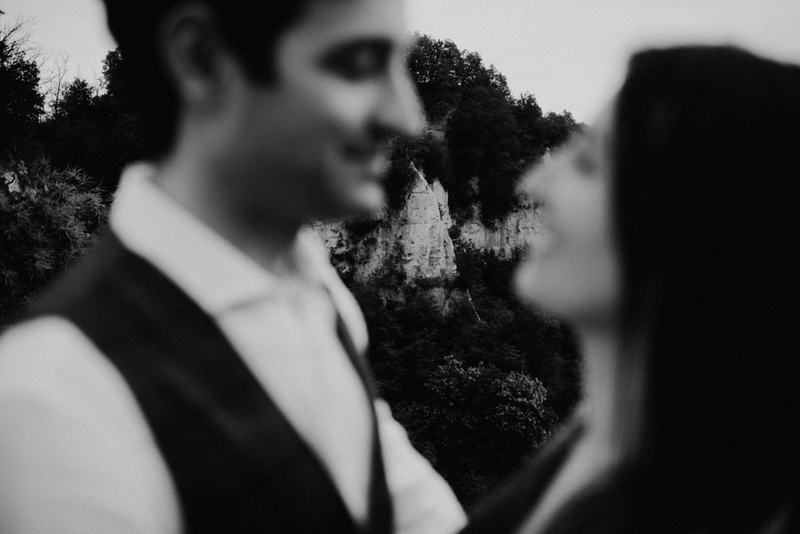 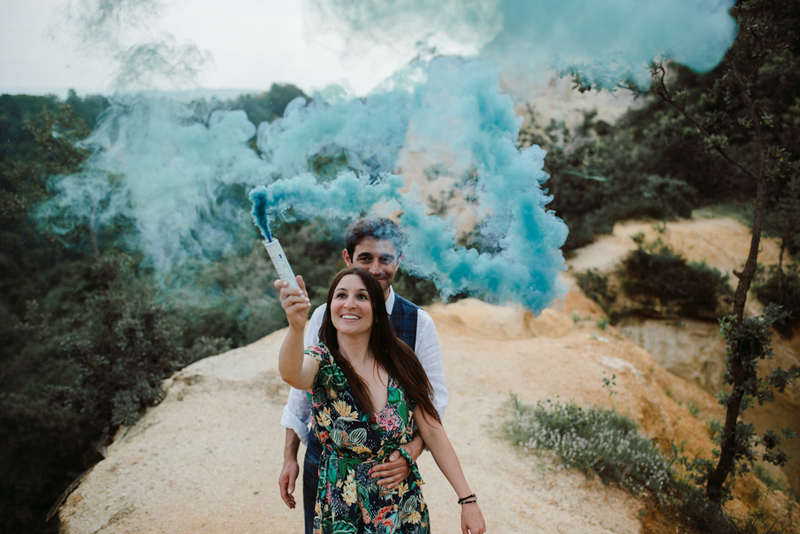 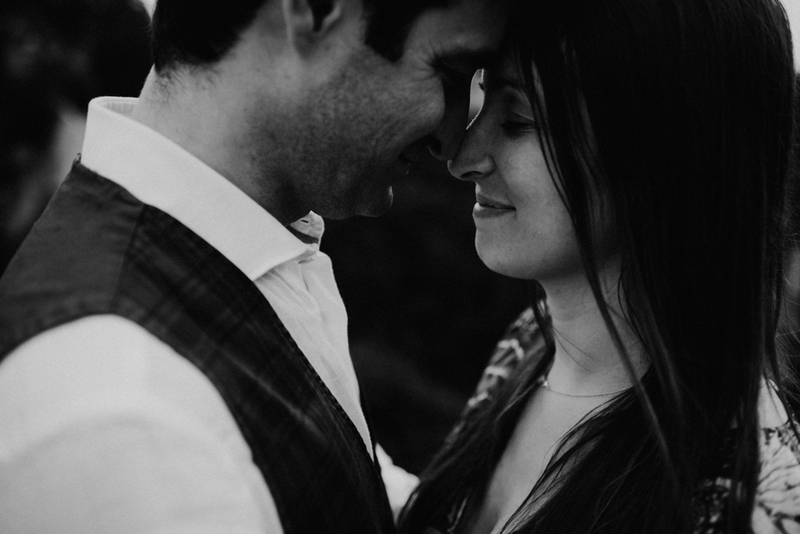 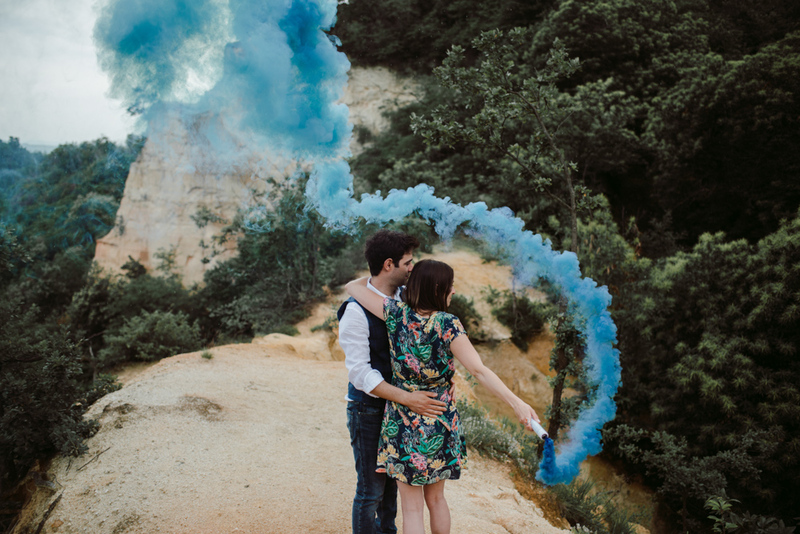 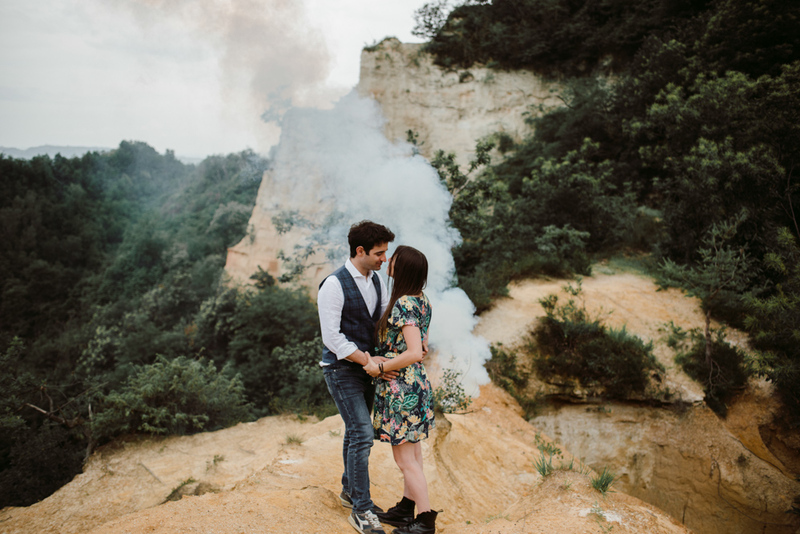 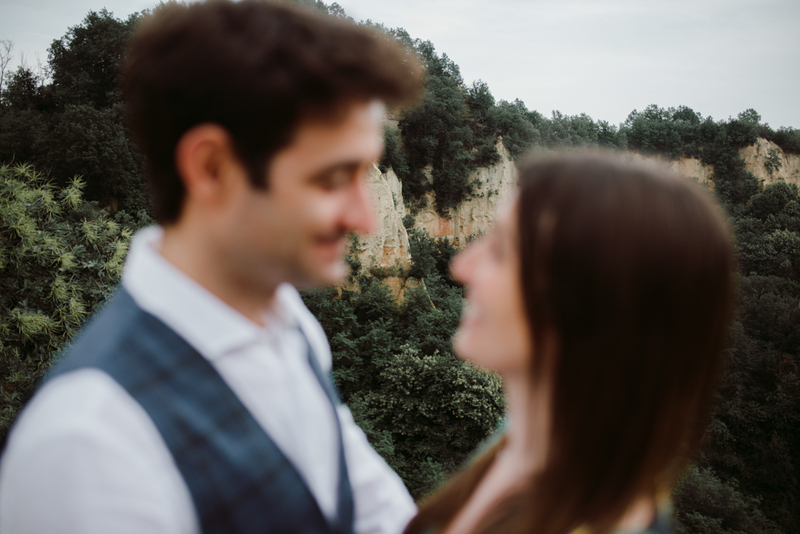 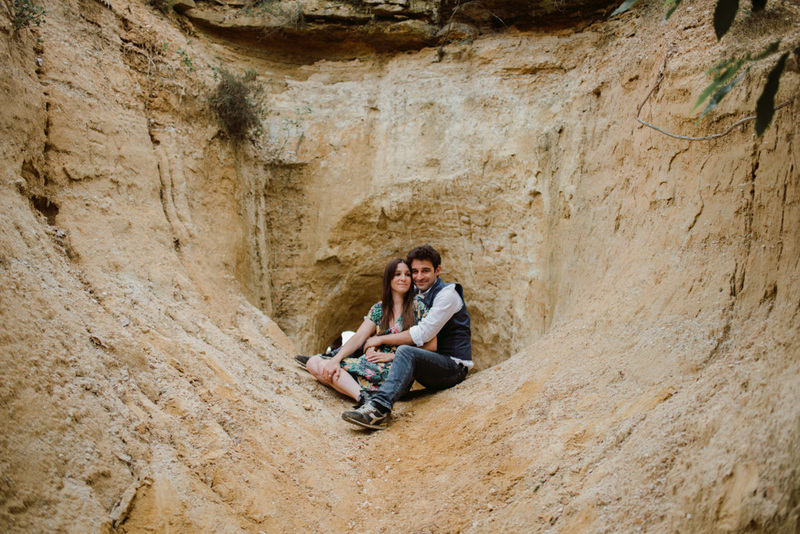 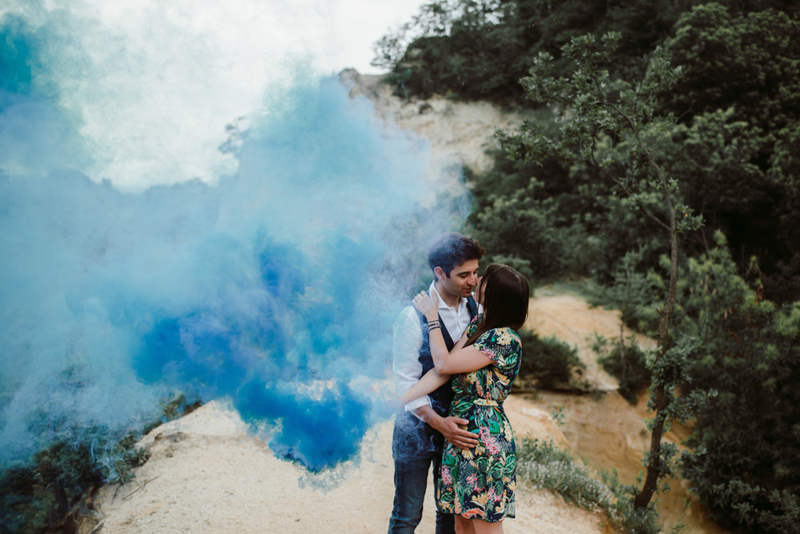 Roberta and Vittorio did their engagement session in Langhe during a crazy weather day at the beginning of June. 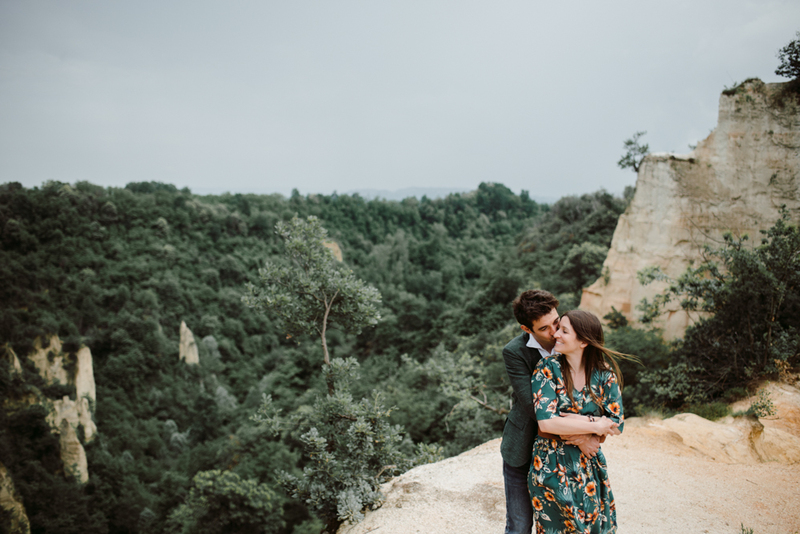 That Sunday we had sun, we had rain and also a lot of wind that made our shooting more exciting! 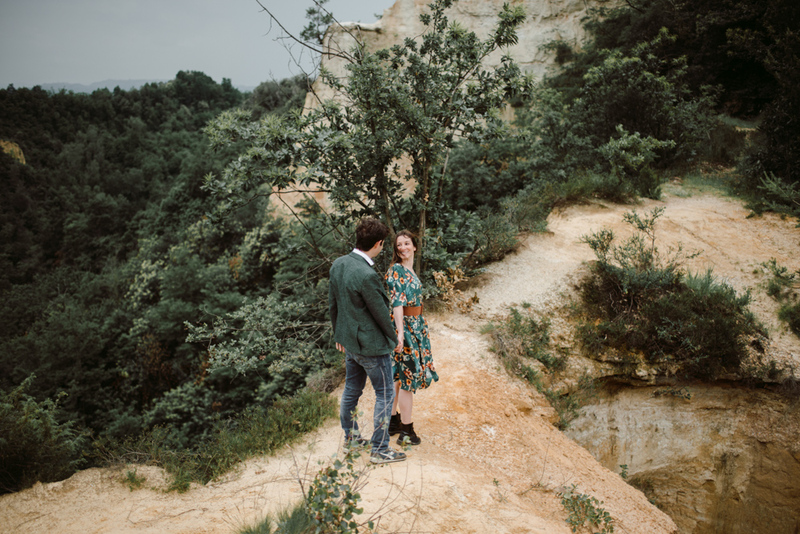 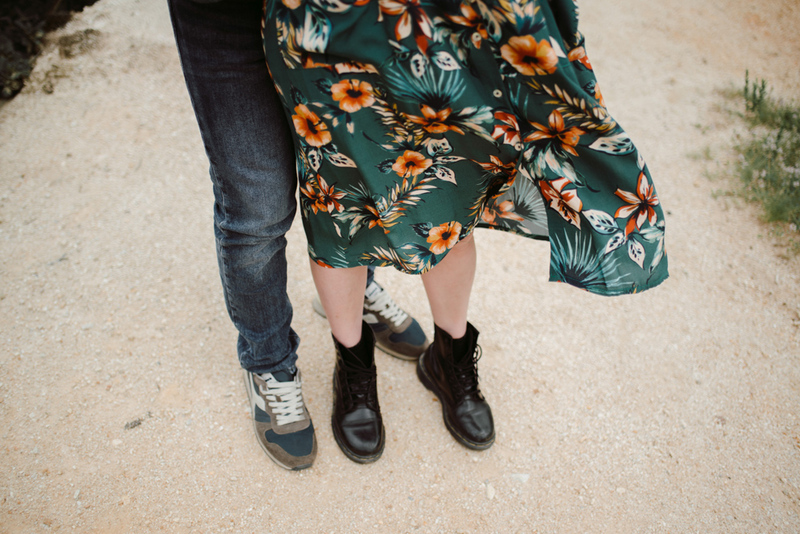 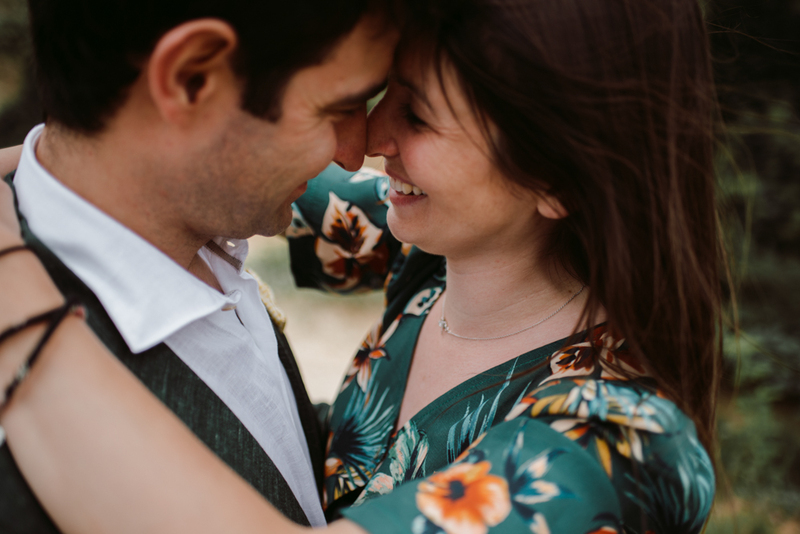 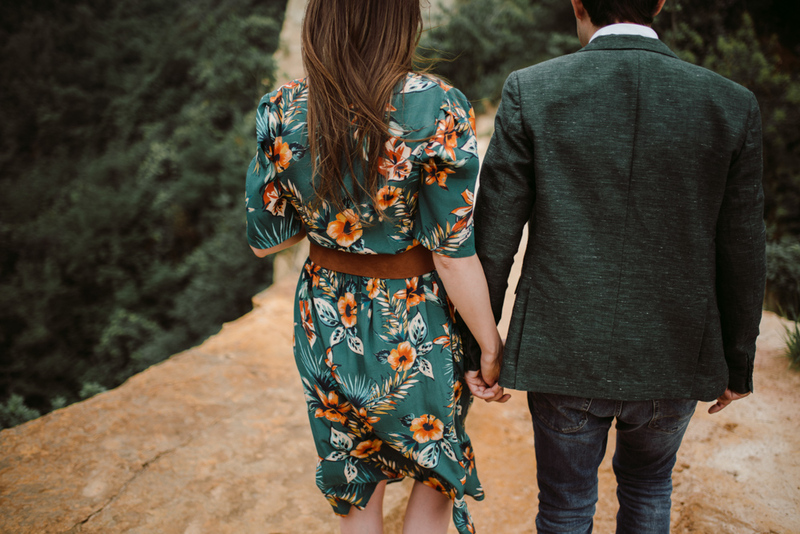 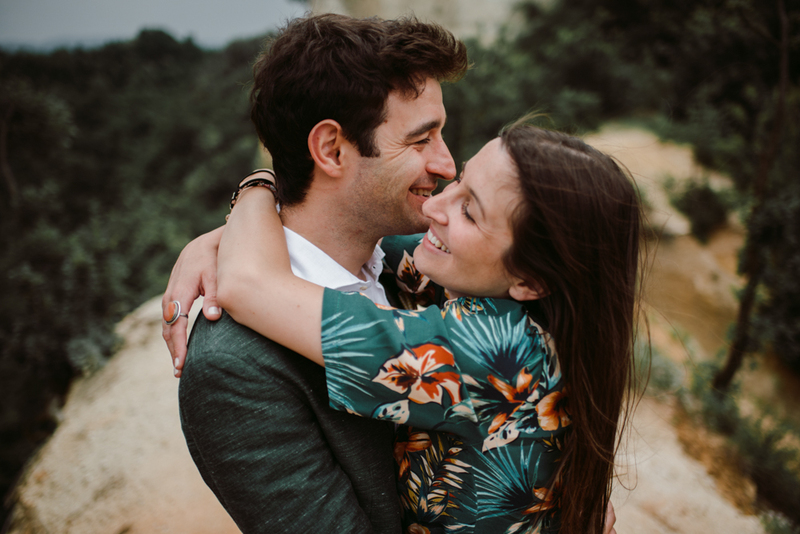 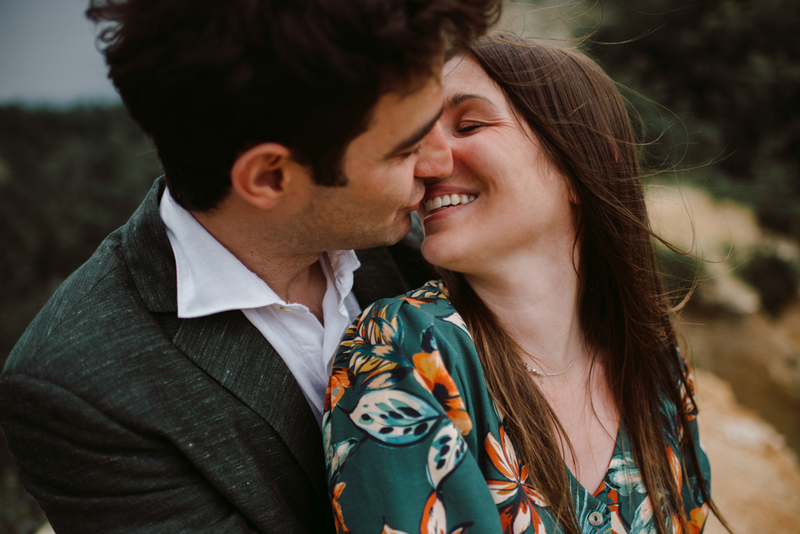 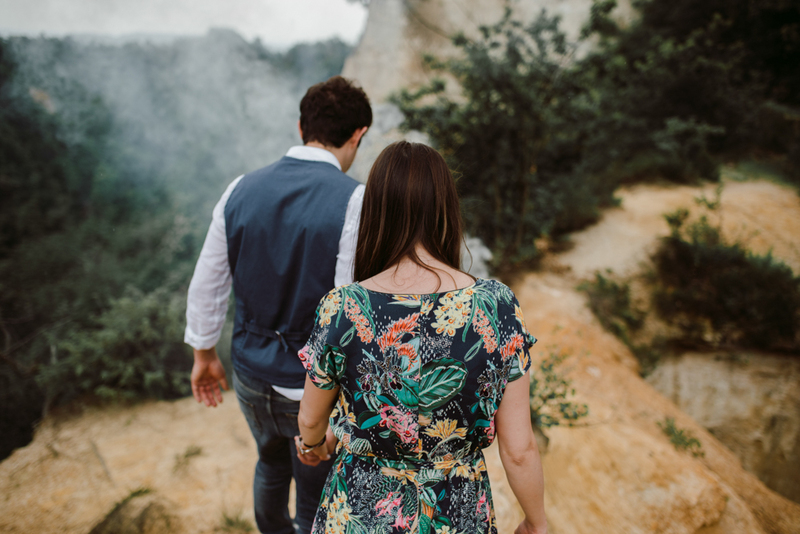 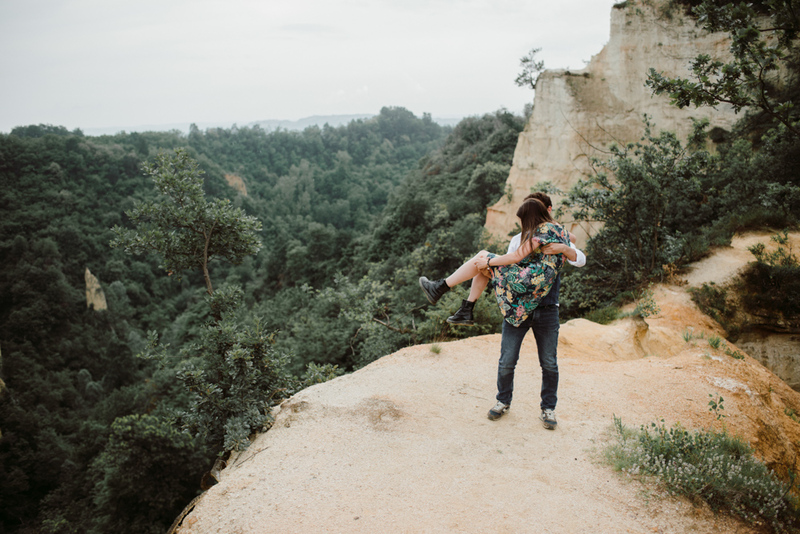 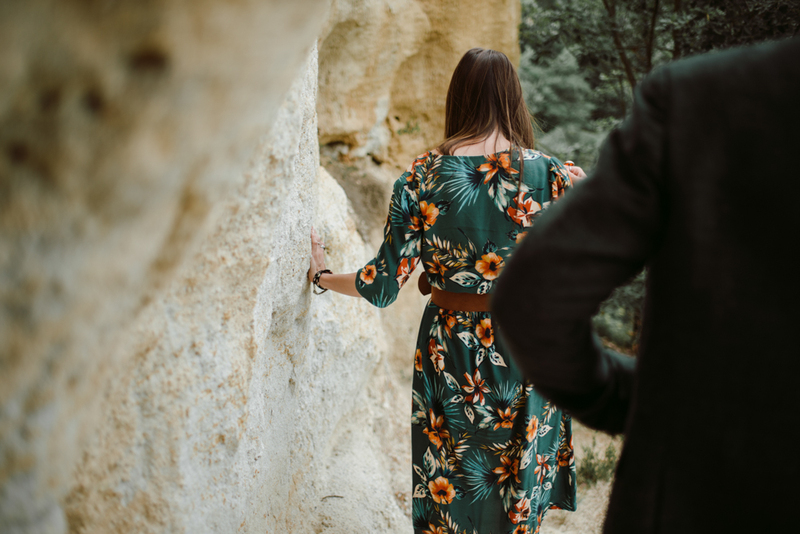 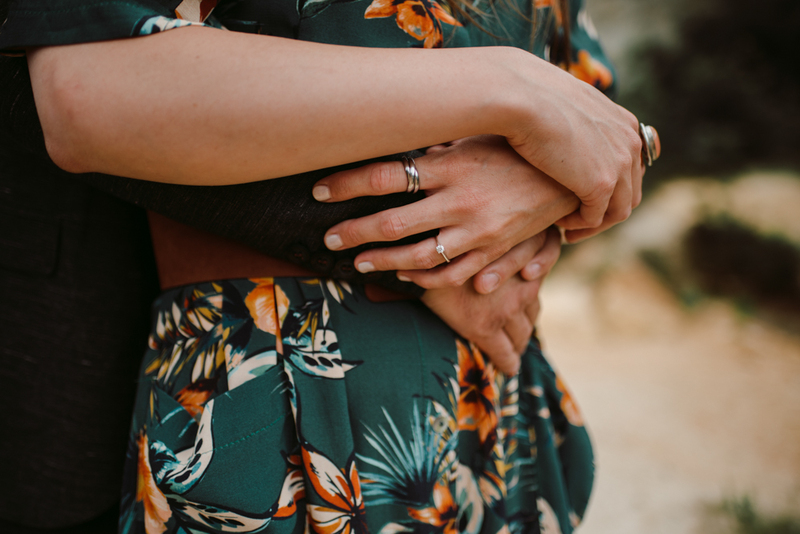 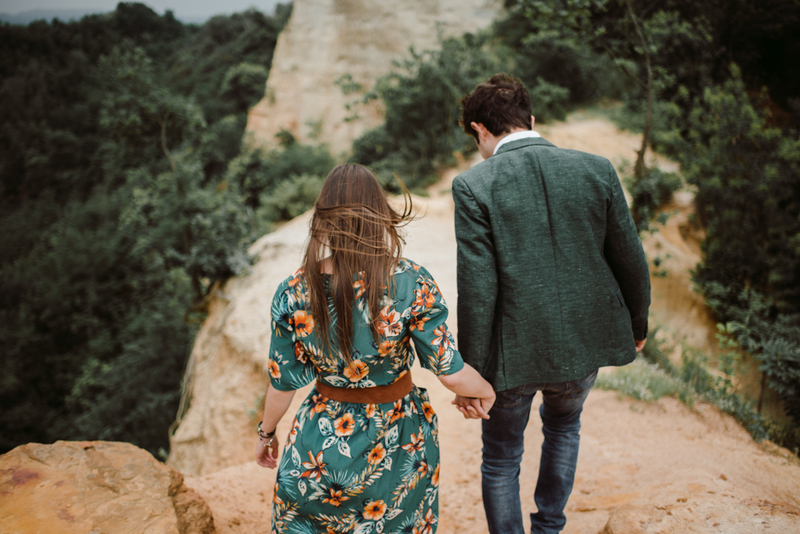 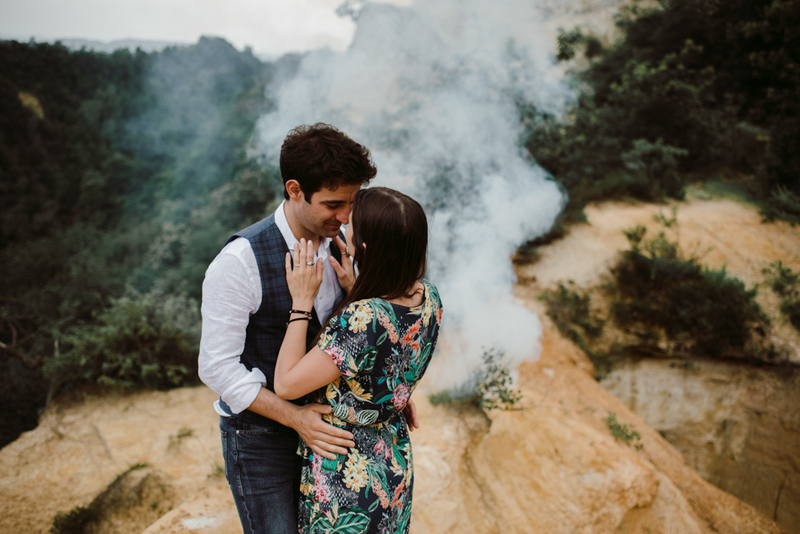 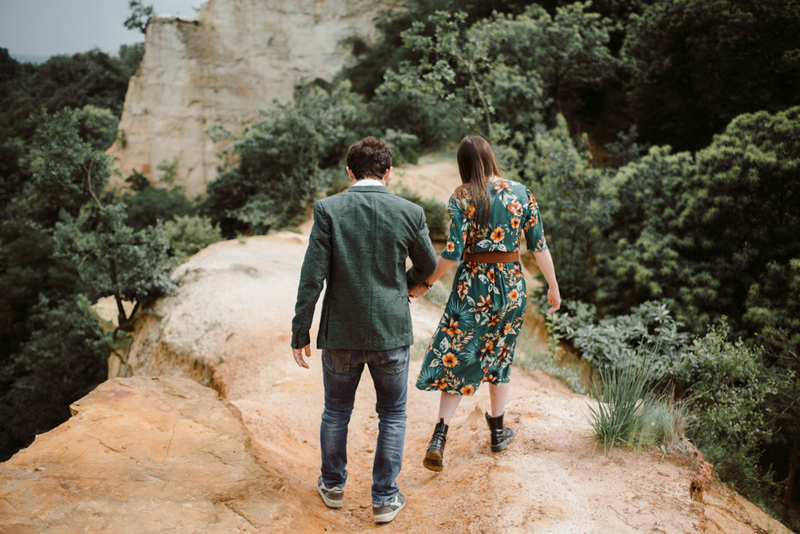 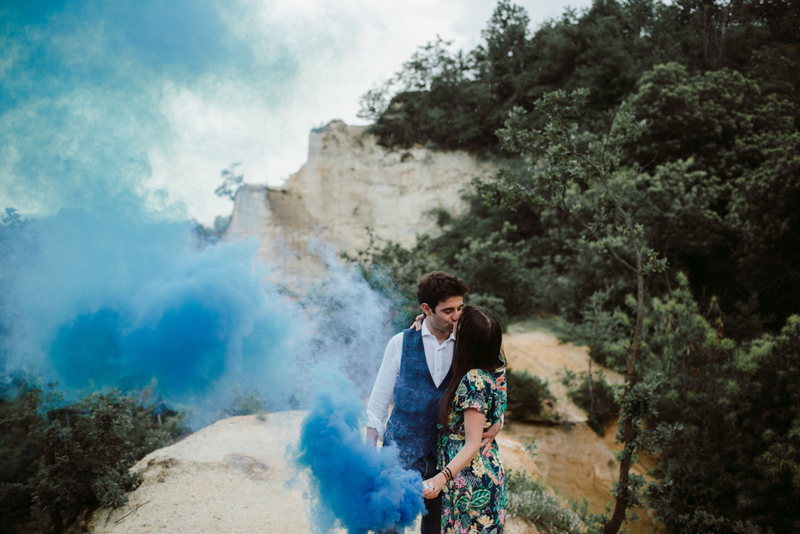 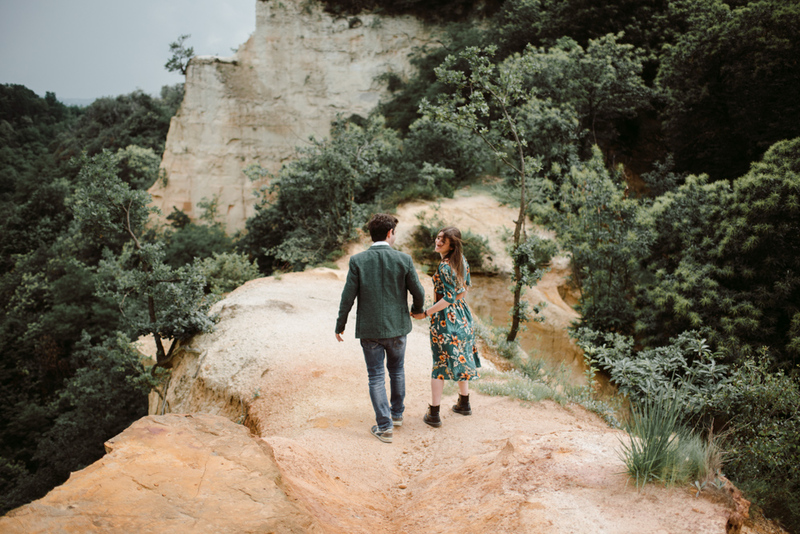 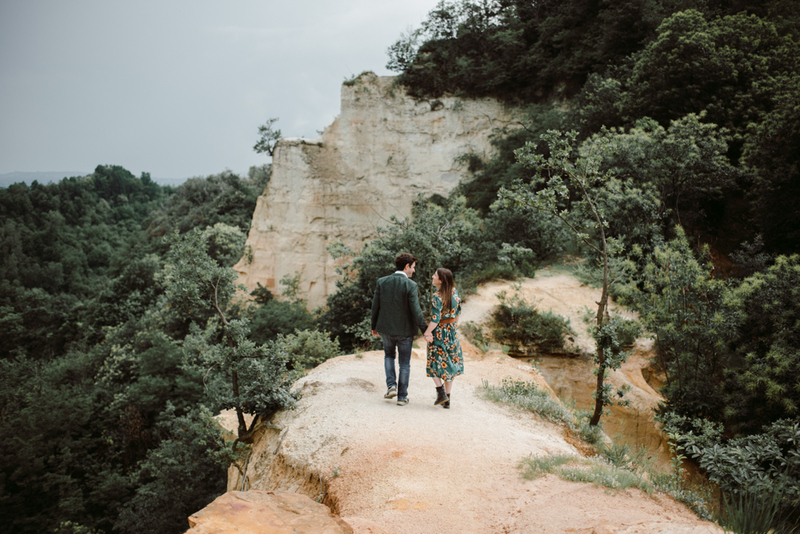 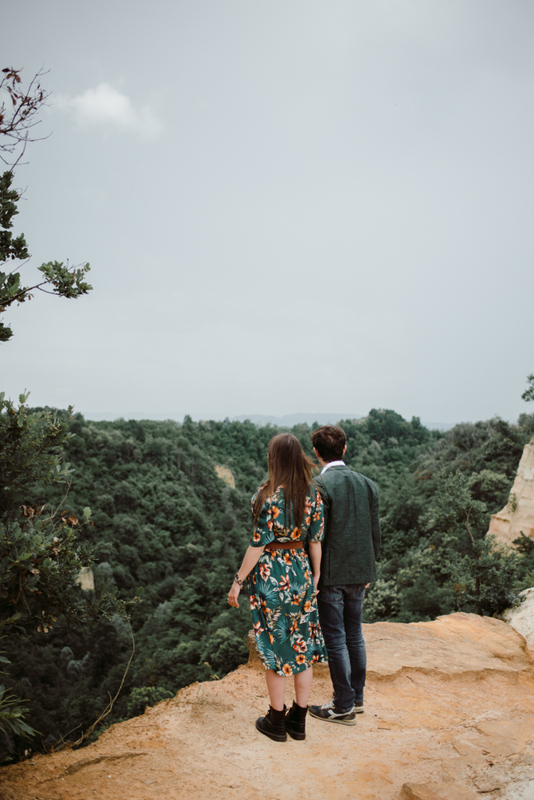 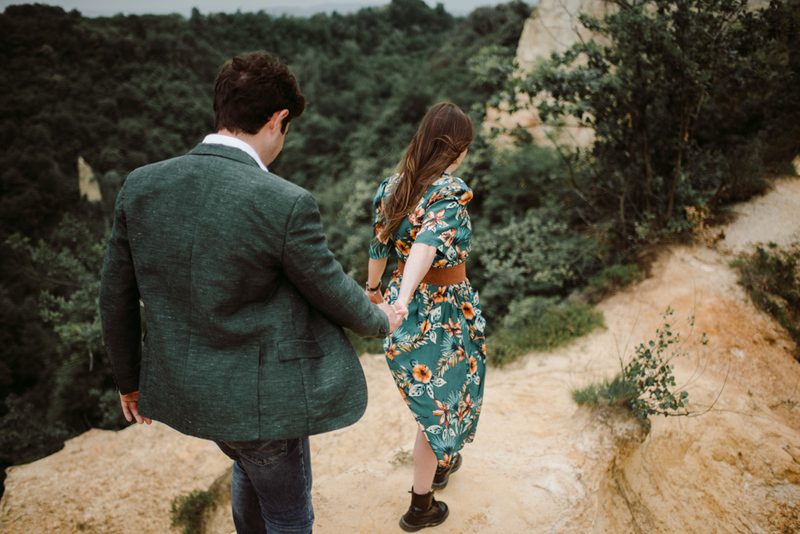 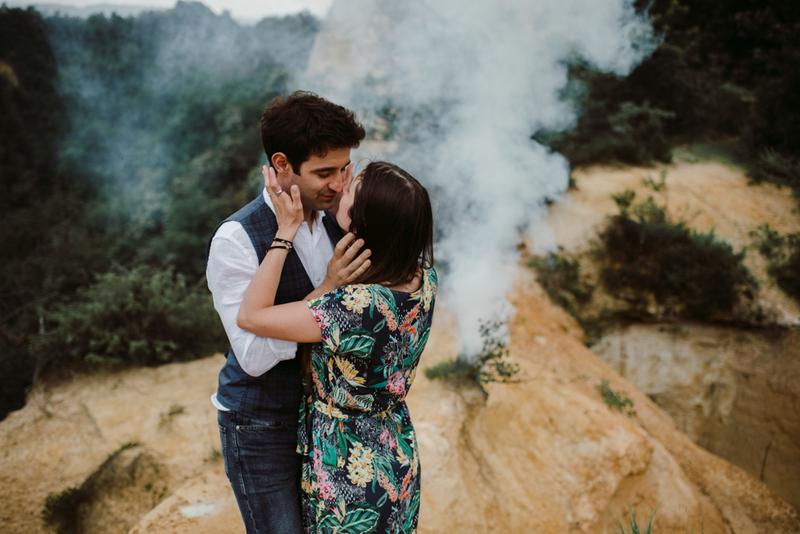 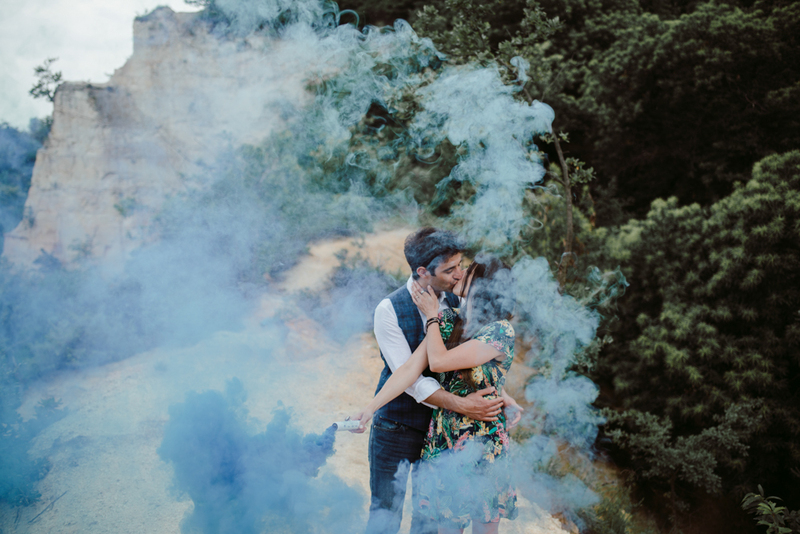 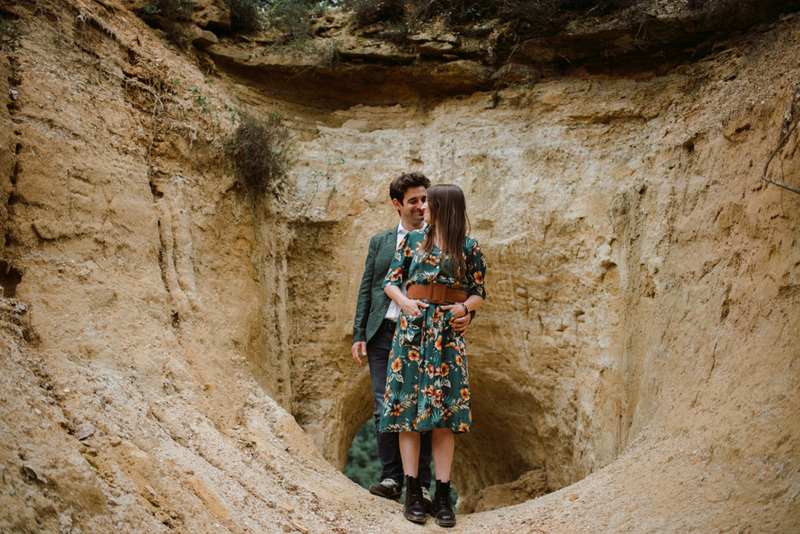 I was looking for a wild place for their engagement session: last year we went to Roussillon and I’d like to find something like it, just a little bit closer. 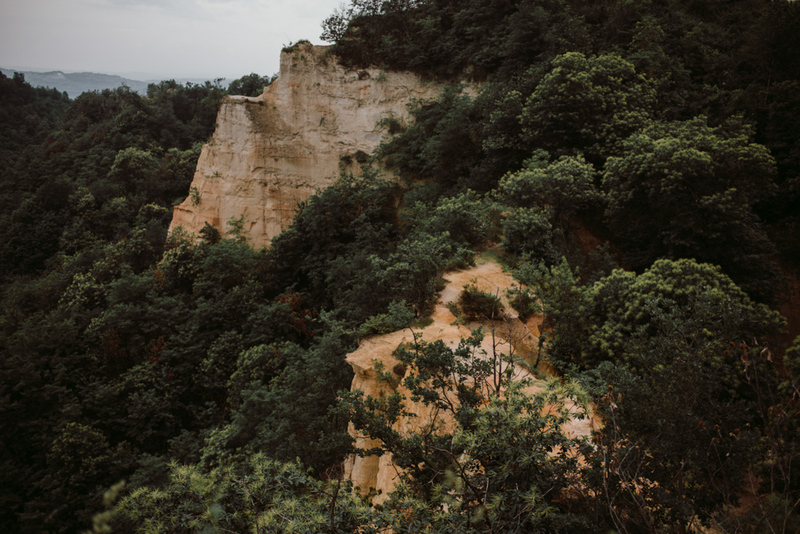 It wasn’t simple to find, but one day a friend of mine told me about this place, “Rocche del Roero”, and I immediately thought it was THE place! 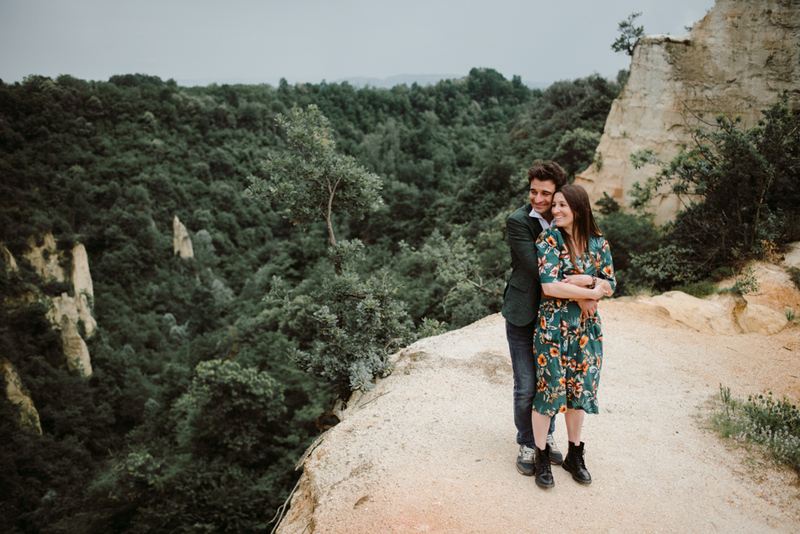 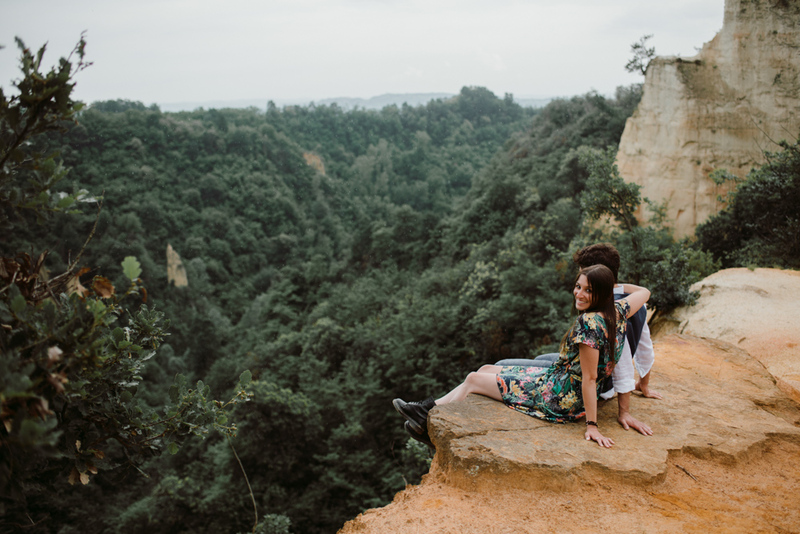 Ocher earth, wild paths and stunning view made our day and our shooting the perfect one! 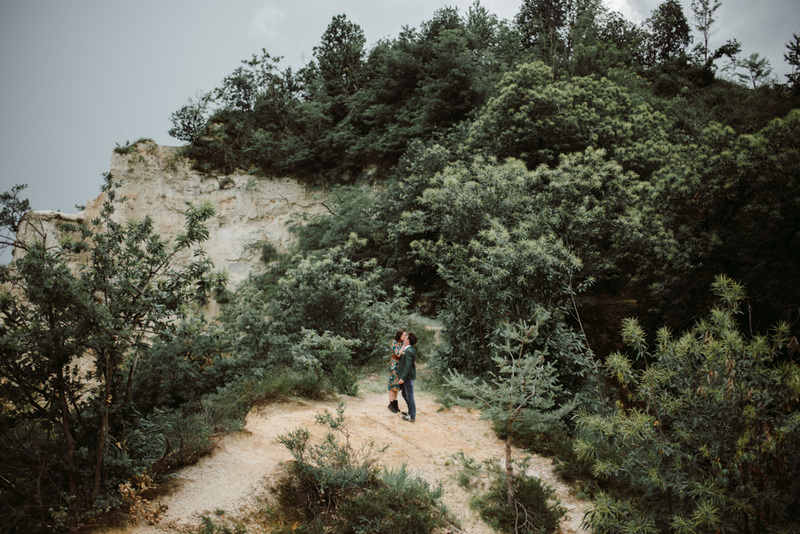 Featured on Wandering Weddings (USA).